Myself and the family went to the beach today, it was really great, Ethan had a brilliant time! I saw so many amazing dogs including a gorgeous Cockapoo, a Boston Terrier and loads of Border Collies, Labradors, Yorkshire Terriers, Cocker Spaniels and King Charles Cavalier Spaniels! 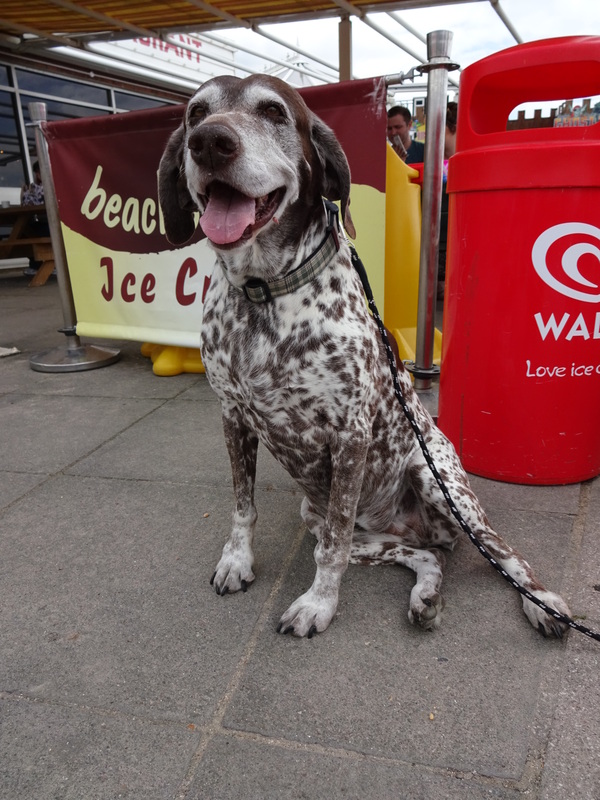 I spotted my Dog of the Day sat outside the cafe, she has such a kind, friendly, smiley face! 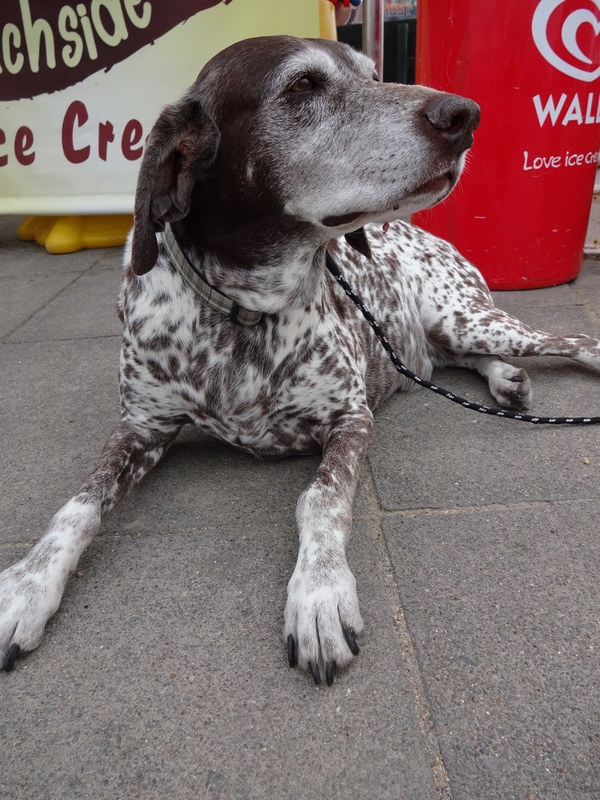 Poppy is a beautiful Short Haired German Pointer. She’s grown up with 3 human siblings, they love her very much! Favourite toy: Poppy loves balls! Favourite pastime: Walking! Poppy also loves paddling in shallow water, she doesn’t like swimming in deep water though!